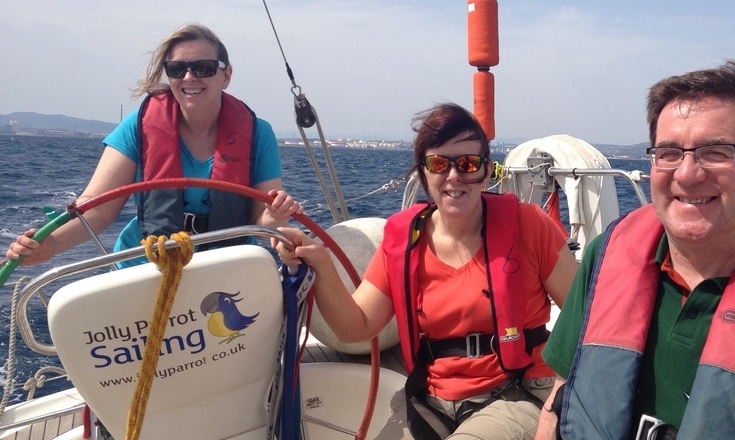 Our singles or individual RYA sailing courses are great for those who are sailing solo. In fact 80% of our students who visit us from the UK travel alone. If you are looking for an RYA course or sailing adventure in the Mediterranean, or any other location that Jolly Parrot are operating, chances are your fellow crew are sailing as individuals rather than part of a group or a couple. You can be sure however that even though they may be 'sailing solo' they will be enjoying their sailing holiday whilst learning the ropes.. It can be a little daunting traveling alone to an unfamiliar place to take a sailing course or activity with limited or zero knowledge,but rest assured that once onboard the yacht, you will be with like minded people enjoying their adventure and making new friends.In fact, many remain friends after the course and return to build upon their yachting experience. Upon successful completion you'll be awarded an RYA Course Completion certificate. If you have any questions or need advice, please contact us on 02380 970824. What to Look For During a Sea Trial. What is the Clew Outhaul and How to Use it.